Banks offer a variety of different services and financial products to individuals and businesses. Since clients and products vary so widely, banks are divided into functional business units. A board of directors and executive team typically oversee all aspects of bank operations, and each business unit has dedicated directors, managers and staff. Banks are usually divided into functional units or divisions. 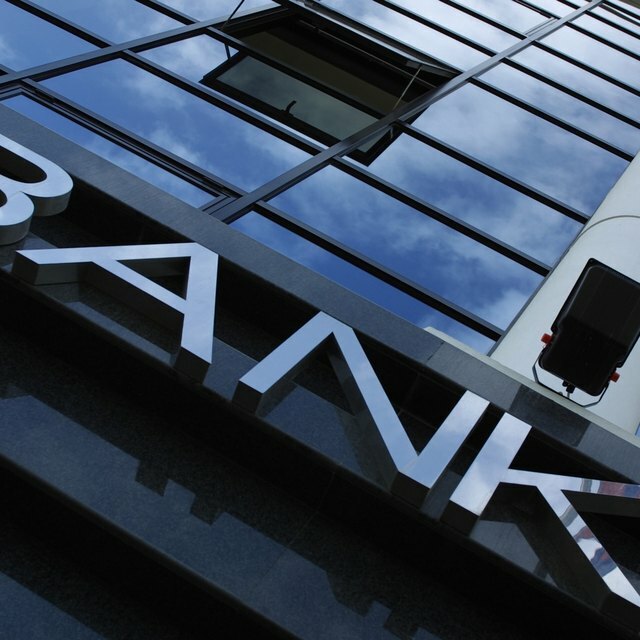 The commercial banking division provides banking services to businesses and corporations. Retail banking, or personal banking, provides services to individual consumers. The mortgage banking group helps borrowers secure loans for real estate and assists with loan processing. Banks typically also have a wealth management group that assists individuals with portfolio management and estate planning. Within each bank functional division is a variety of necessary roles. The board of directors and bank executives oversee overall business areas, like operations, marketing and finance. However, each functional division usually has dedicated directors, managers and staff. Directors typically design and modify the strategic vision of the business division. Managers help directors implement the vision and oversee sub-departments. Bank staff, like customer service and sales staff, service the clients directly or in a supporting role.